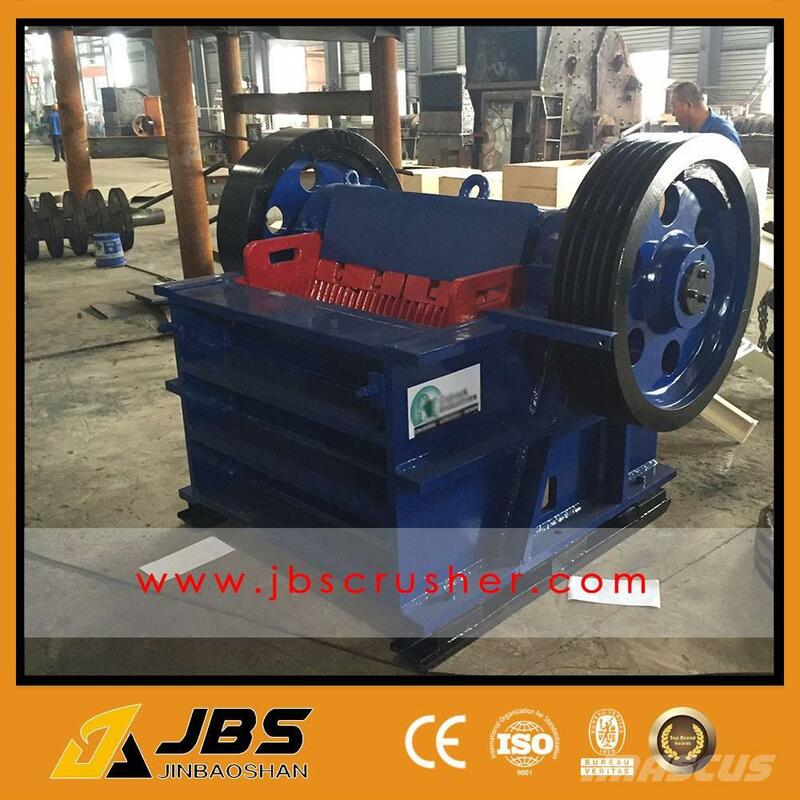 อุปกรณ์เชื่อมต่อ/ตกแต่ง Jaw Crusher is ideally suitable as primary and secondary crusher for material with compression strength less than 320Mpa. Jaw Crusher is of high crushing ratio, larger capacity, well-distributed final product size, simple structure, reliable performance, convenient maintence, metallurgy construction, highway, railroad, and water conservancy, etc. 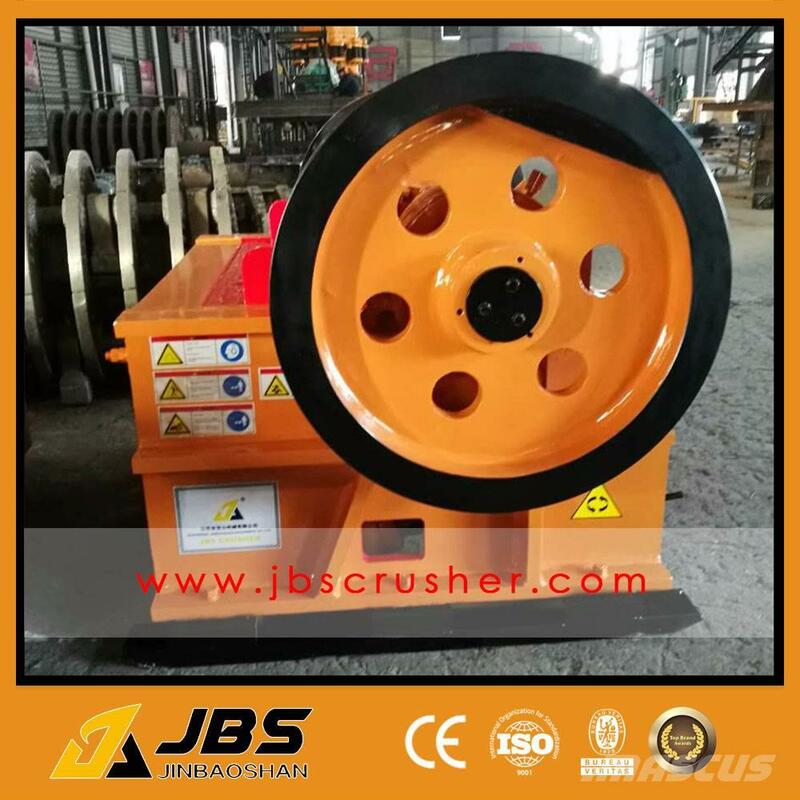 Jaw Crusher is ideally suitable as primary and secondary crusher for material with compression strength less than 320Mpa. Jaw Crusher is of high crushing ratio, larger capacity, well-distributed final product size, simple structure, reliable performance, convenient maintence, metallurgy construction, highway, railroad, and water conservancy, etc. The electrical motor transmits power to the eccentric shaft through v-belt and belt pulley. Then the exciting force generated by the eccentric shaft will make the movable jaw forwards and downwards. This movement would trigger the plate to push the movable jaw forwards and backwards. When the movable jaw moves forth towards the fixed jaw’, materials in the crushing cavity will be squashed or chopped. And then the movable jaw travels back, the chopped or squashed materials which meted the requirement will be discharged from the outlet. Since the motor keeps working, the crusher and discharge periodically to achieve mass production. 6. Even final particles, high crushing ratio.